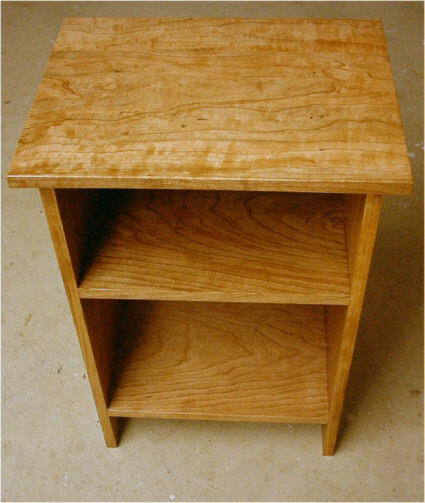 A simple design, this Solid Cherry Night Stand turned out awesome. We do our best to select boards that have just the right figuring in them and wide enough for the item. This night stand is just the right size for beside the bed. We could add a drawer if you'd like.